In addition to our Masai Mara Tours listed below, we offer a variety of budget Kenya Tours to suit your needs. Why go on Masai Mara Tours? Kenya is located in the wildlife-rich East Africa. The warm Indian Ocean runs along the country and offers beautiful beaches and sun-bathing opportunities. The landscape is one of savannah, lakelands, mountain highlands, the Great Rift Valley making this home to a plethora of wild animals such as lions, elephants and rhinos. There are many National Parks and reserves perfect for day and night safaris. Established in 1961, the Masai Mara National Reserve is situated in an enormous game park in Narok County, Kenya, and is joined to the Serengeti National Park in Tanzania. The reserve was named in honour of the Masai folk, who were the original occupants of the region. 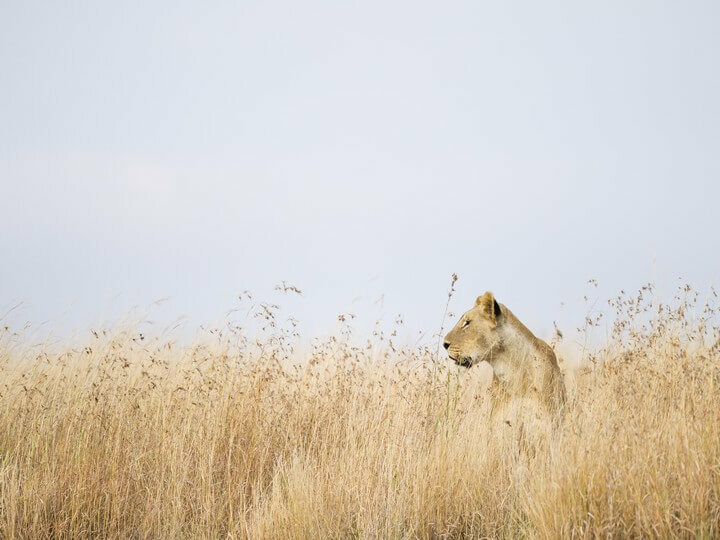 Translated from the Masai word ‘Maa’ meaning ‘spotted’, the Masai Mara was also named due to how the area looks from a distance, with circles of trees, thickets, savannahs and cloud shadows that seem to dot the park. The reserve is renowned as one of the greatest and most popular wildlife parks in all of Africa, and is famous the world over for its incredible abundance of the big cats: lion, leopard and cheetah, as well as its annual migration during which masses of zebra, Thomson’s gazelle and 1.5 million wildebeest make their way to and from the Serengeti while crossing through the crocodile infested Mara river. Jul-Aug: During this time the migration crosses the Mara River where the animals stay in the Masai Mara until November (short rain season) before heading south back into the Serengeti.